One of the intriguing mysteries of the Rockman DASH series is the use of the title “Rockman” by ancient and powerful beings who may have once controlled the world. 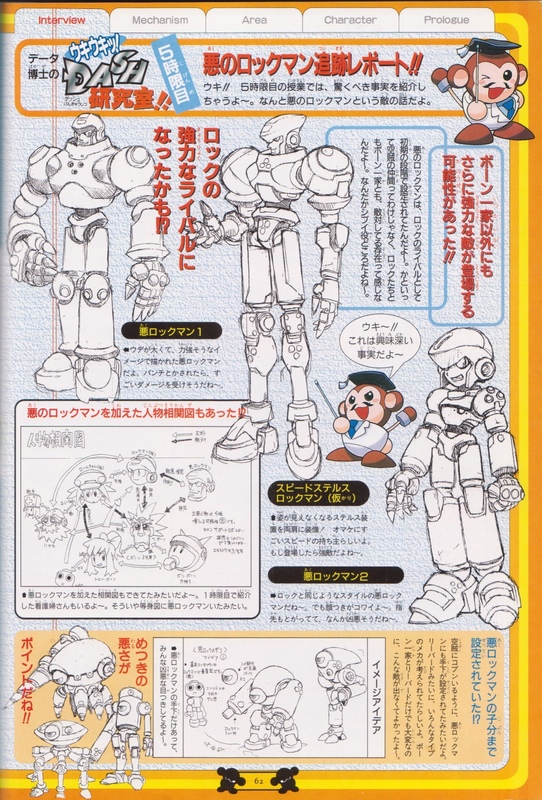 Even before there was Rockman Juno, the developers were toying with different ideas for an antagonistic Rockman to serve as a foil for our hero. We caught a glimpse of one such concept last week. 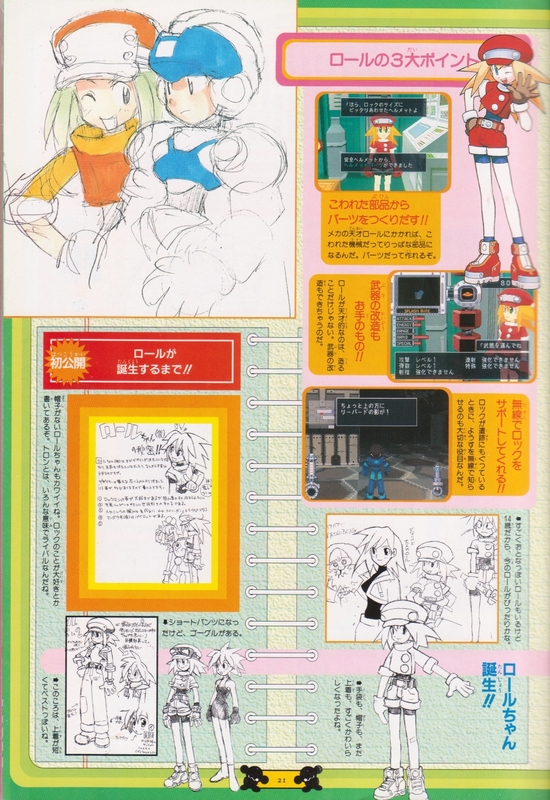 Now we’ll be taking a deeper look at the unused characters that could have inherited the name of Rockman. Professor Data’s “Uki-Uki!” DASH Laboratory!! Lesson 5: The Evil Rockman Follow-up Report!! Aside from the Bonnes, there was an even more powerful villain that could have emerged! Could this have been Rock’s fiercest rival!? 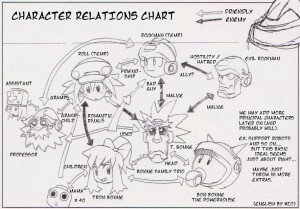 Evil Rockman even appeared on a character relations chart!? 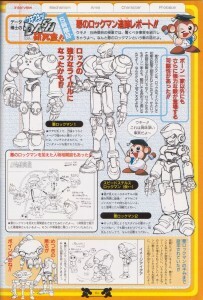 Evil Rockman would have had his own Kobuns!? It’s hard to say whether the early Evil Rockman idea would have fit into the plot of the Master System as we know it. Is he a Purifier model, a Bureaucrat like Juno, or a digger with a similar armor design to Rock? He seems altogether more malicious and scheming than the calm, polite exterior of Juno. And his kobuns are quite certainly some ferocious-looking robots. Their basic design contains elements from the good and evil Rockmen, but they also strike me as a strange mix of Bonne tech and Reaverbot that in some ways still manages to look quite alien. The notes by their designs explain that the main sphere with the evil eye adorned is the robot’s main AI, and potentially a weak spot. The idea of a more treatcherous servbot would later be realized by Glyde and Loath’s birdbots. It looks as though Evil Rockman might have deceived our hero Rockman (not yet known as simply “Rock”) into looking upon him as an ally for a while. And the others? 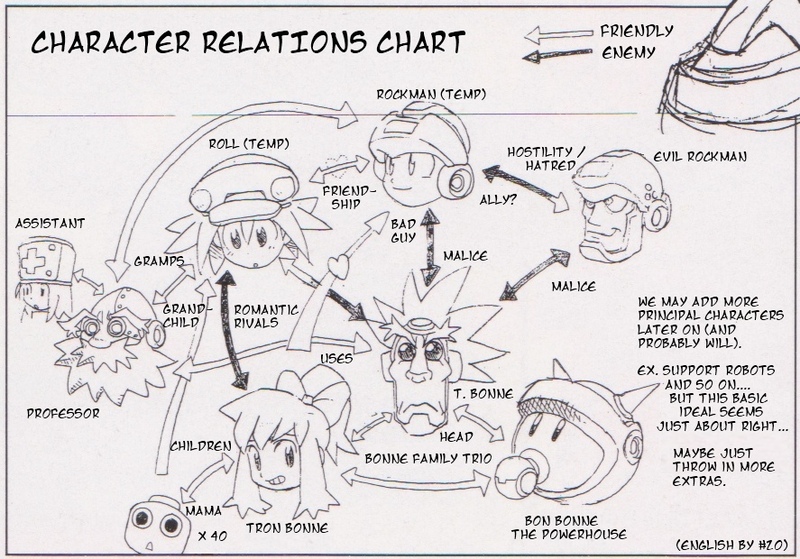 The Bonnes were fairly well established even before Tron’s final design was decided, with Teisel being the head of the family and Bon being the strong man of the group, and the 40 servbots acting as Tron’s kids. The tenuous love triangle between Rock and the two girls was also set in place. But there are also some hints that the Bonnes were going to interact more with the Casketts. As seen in the servbots have taken a liking to Roll, infuriating poor Tron (as we’ve seen before)! Tiesel’s arrow also shows that he actually has a fondness for Roll (who does not feel likewise), and he and Barrel (listed here only as the Professor) seem to have a mutual appreciation for each other. I wonder who would have been using who? Eventually we know the two did come to some understanding by the ending of Legends 2. Perhaps their respect for one another is based on academics, given that Teisel is a bookish nerd? And last but not least, we have Miss Nurse joining the cast at this stage, labeled here as an Assistant with an arrow pointing to Barrel. Once again, no sign of Data himself. We’ll talk a bit more about that next week. 6 Comments to "He’s a Bad, Bad Rockman"
:/ Well, um despite that comment was a bit over 3 years old, he would have been the evil intruder for both Rock and the Bonnes. Andrew Dickman has a sketch of the speed-stealth fellow (identified as Sigma); until now, I couldn’t find his reference anywhere. Interesting. 🙂 The third, more Trigger-like design reminds me of iX, or maybe Ruby-Spears Protoman. @Dashe: Good point. I find Legends villains tend to have some levity to them, a softness or humor or something that makes them sympathetic. Evil Rockman seems like a hardened, serious villain without an element of lightness. But then again, maybe if he had made the cut he would have developed a personal or comical touch. @RAD: That sketch sounds interesting! Where can I view it it? My mind always runs to Shadow Style Rockman.EXE when I see Speed-Stealth, just because of the head I guess. If they were an evil Trio, SS would have to be the leader. 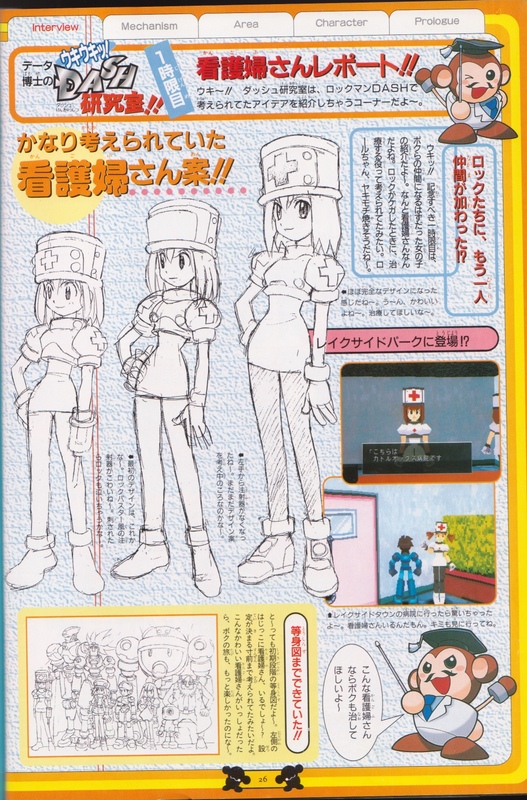 And ER2 reminds me of Hitoshi Ariga’s art with its style and expression.